I took about a 2" strip, and folded it several times and put 2 mini staples in each fold. And did you notice the embossed cardstock under the title? 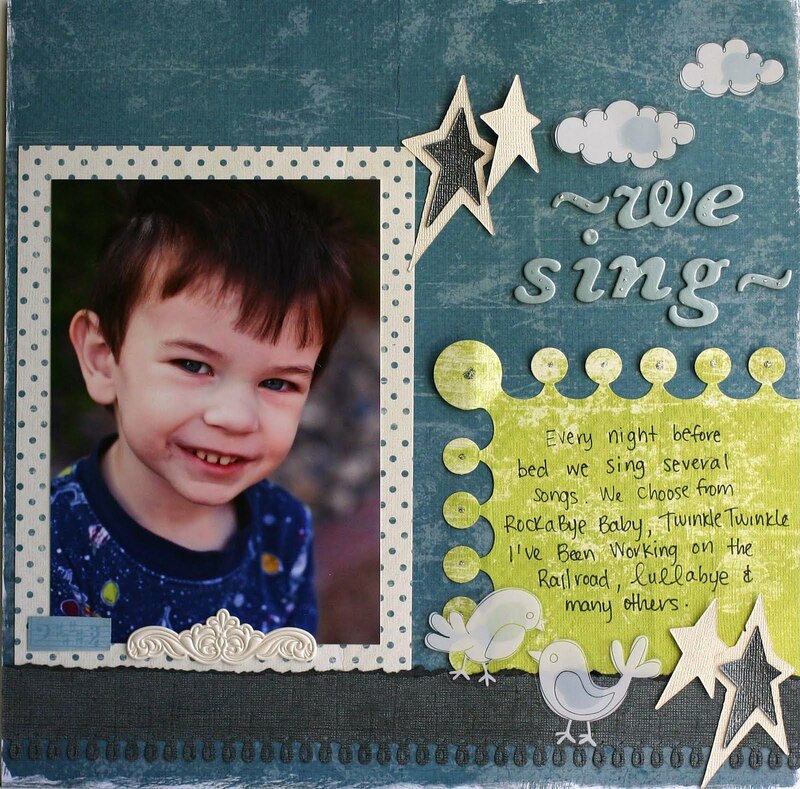 A set of Cuttlebug borders embossing folders came in the kit! How cool is that? Here is one with lots of stitching. 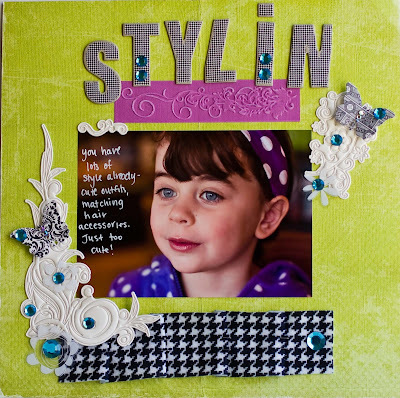 See the cool Serendipity patterned paper with vintage images? Simple and to the point in this one. 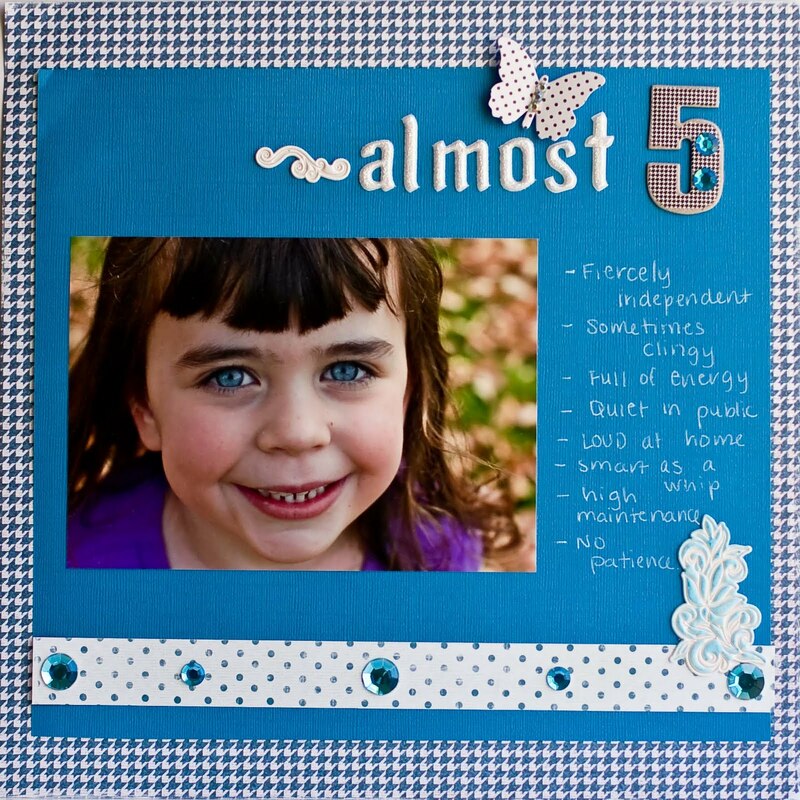 Man, I love that blue cardstock and how it perfectly matches her eyes! And those Kaisercraft gems pack quite a punch of color too. I used a blue copic marker to add some color to the Pink Paislee soft swirl on the bottom right corner. I added the American Crafts thickers from my stash, but everything else is from the kit! When I saw the dark blue paper I knew I had to do a nighttime layout. I just love putting this little guy to bed. Even if I have to sing a medley of 5-6 songs lol! He is snuggly and sweet and once we are done, he goes to bed. His head hits the pillow and he is out until the next morning. Unlike his sister who was been known to ask for a wet wash cloth, a different cup of water and even a slice of bread AFTER the lights are out. 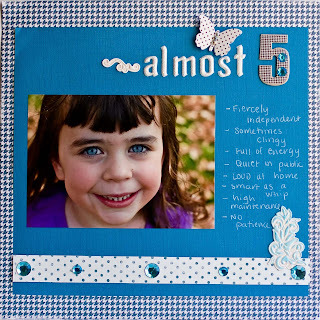 Anyway, go on over to Serendipity Scrapbooks and check out the May Altered kit. The I Deserve it All kit is fabulous too and features Crate Paper's Brook collection. I hope to be back in another day if we don't light speed ahead through the weekend! Happy Friday! 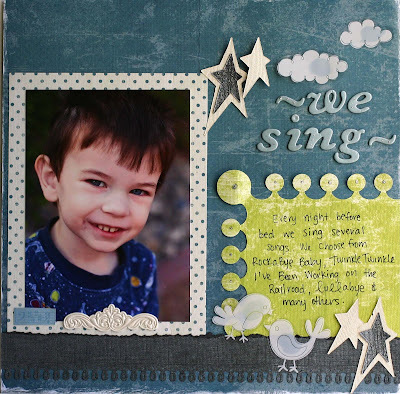 These layouts are great and your descriptions of the products are wonderful! You have beautiful children and you frame them well! Love all of these gorgeous layouts using the Bayberry line!! I am really missing you and everyone from CMD!! Hope you're doing well! Rebecca, these are wonderful!! Those colors are so rich and I like how you showed they are good for boys and girls!! Oh wow!!! These are so so beautiful girl!!!! LOVE them all. I couldn't pick a favorite if I tried!